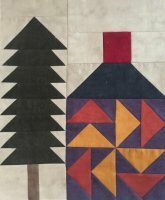 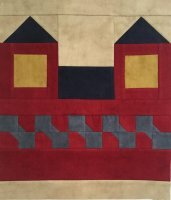 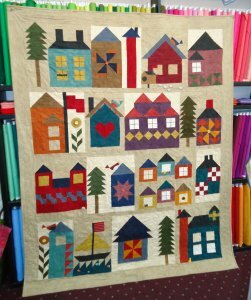 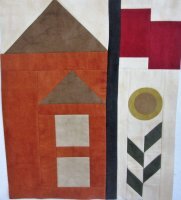 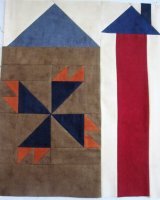 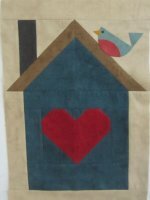 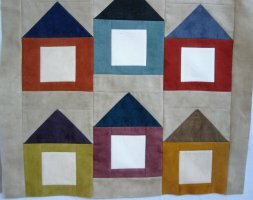 Join M&E Quilt Shoppe each week as you build your neighborhood with the Moda Be My Neighbor Free Quilt Along. 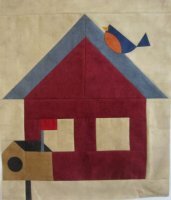 Each week starting on Tuesdays you can download your copy of the free building blueprint (aka pattern) right here from our website. 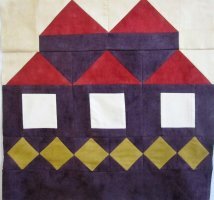 There will be a new set of blueprints (aka patterns) each week for the next 16 weeks. 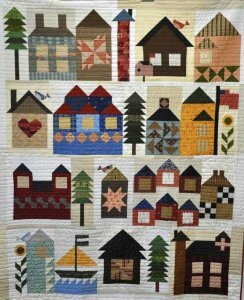 You can build your quilt with fabrics your choose or you can use our building kit which we have created using the beautiful flannel fabric line Primitive Muslin Flannels by Moda. 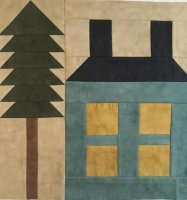 It will make your neighborhood warm and inviting when it is all finished. 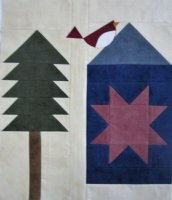 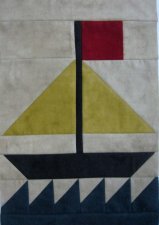 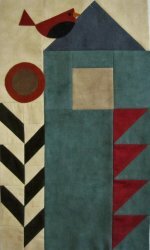 Kits will be available each week for only $6.95 and this quilt is a wonderful 68" x 84" when finished. 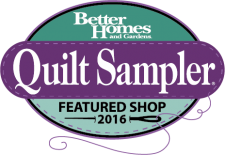 Click HERE to see your options. 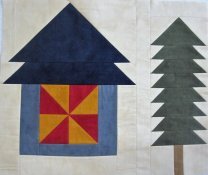 So won't you be our neighbor and join along! 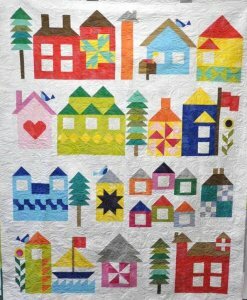 Look how cute this quilt is when all finished. 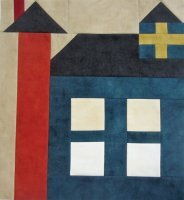 Here it is shown in two different colorways.